Not only a New Career, but the Help to Get There. HOW TO SET OUT THE PERFECT C.V.
First impressions count when applying for your dream job. It is important to make sure that your CV captures the employer’s interest and makes you stand out from the crowd. We understand that writing a CV can sometimes be one of the hardest things to do so we put together some hints and tips to help you write your perfect CV. 1. Make sure that all the detail on your CV is accurate and correct. From an employer’s perspective there is nothing more off putting than spelling mistakes and/or typing errors. It also gives them a good excuse to disregard your application. 2. Your CV should be no longer than 2 A4 sides of paper. Make sure it is to the point and concise. 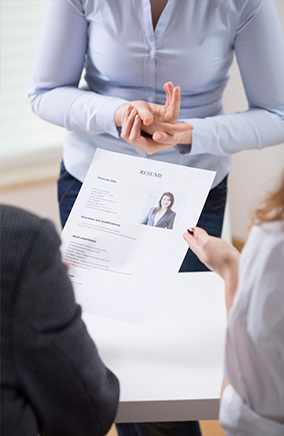 Most employers will only have a limited amount of time to read your CV. 3. Tailor your CV to each specific role that you apply for. Ensure that the skills the employer is looking for are marked clearly on your CV through your experience. 4. Make sure that your personal profile is unique to you. This is about your most important attributes and what it is that makes you more employable than any other candidate. 5. If you have employment gaps don’t leave them out. Make sure you write about any experience or training you gained during this period. 6. Send a cover letter with your CV detailing why you are interested in the role. 7. Keep your CV updated for every new role or experience that you gain. 8. 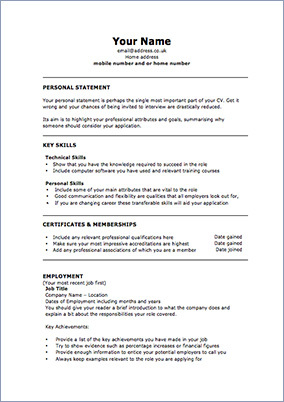 Make sure your CV is presentable – Ensure that you use the same font and that it is easy to follow. 9. Don’t lie on your CV. It is better to be honest than for an employer to discover that you are not telling the truth. 10. 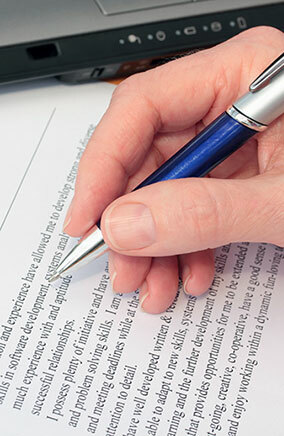 Ask someone to proof read your CV to double check for any spelling or grammatical errors. You have been successful for an interview for your dream job. What do you do next? Zoom will always support you with advice on how to best present yourself at interview to maximise your chances of success. Go through the job description in detail. Print it out and highlight all the skills and competencies needed for the role and then write down all of the experience you have gained that match the skills. Make sure you plan your journey to arrive 10 – 15 minutes early. Make sure you have all necessary contact numbers in case of any unexpected delays, then switch your mobile off when you arrive. Research the company, check the company website, press releases and brochures. Think about how you structure your answers when you answer the interview questions. Make sure that you give plenty of examples to add evidence to your responses. This will prove to an employer that you have the desired skills and confidence for the role. You may be asked why you want to leave your current role or last job so be prepared with a concise answer with a positive spin. Please do not be negative about your former employer.